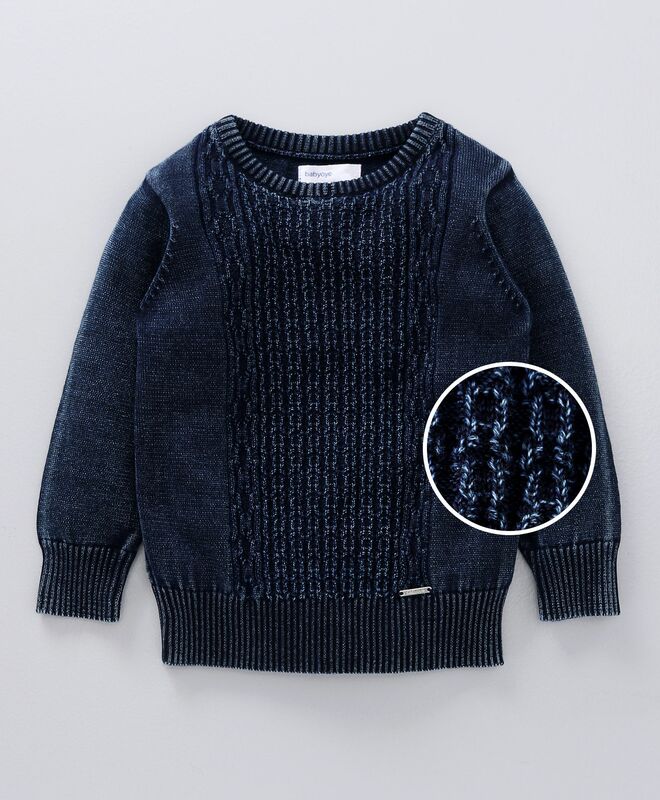 Babyoye presents this comfortable and warm sweater for your little one. Expertly crafted in soft fabric, the full sleeves sweater features a designer look with ribbed hem and cuffs. Round neck with pullover style for easy dressing. The sweater will help keep your child warm during the cold weather. Styling Tip: Team it with jeans and shoes. Very bad quality fabric and texture.